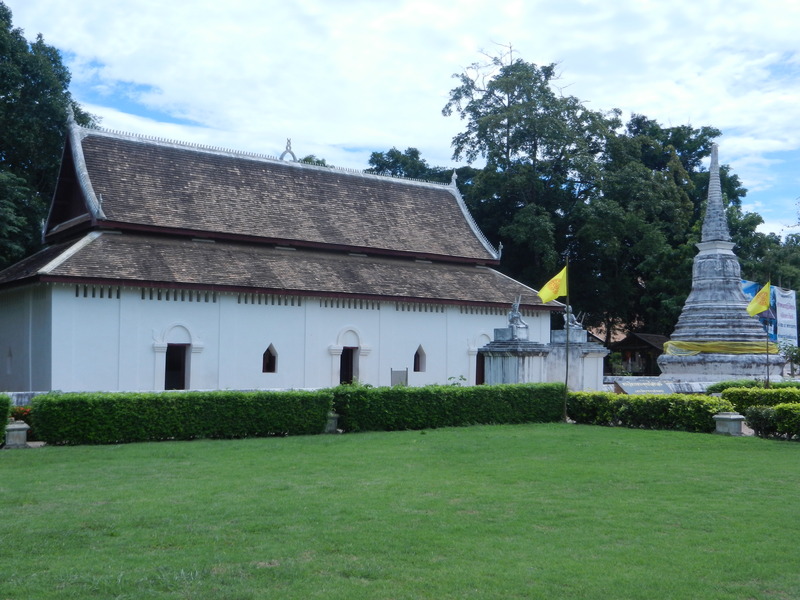 Line Versus Flow–Is Western Or Thai Perspective Better? The more you examine a culture’s way of thinking, the richer it becomes. The above statue of the Sleeping Buddha (at Wat Phra That Chae Haeng, in Nan, Thailand) is based on different ideas about the most basic forms in art and reality than the West’s focus on abstract lines and shapes. But these forms are infinitely rich. 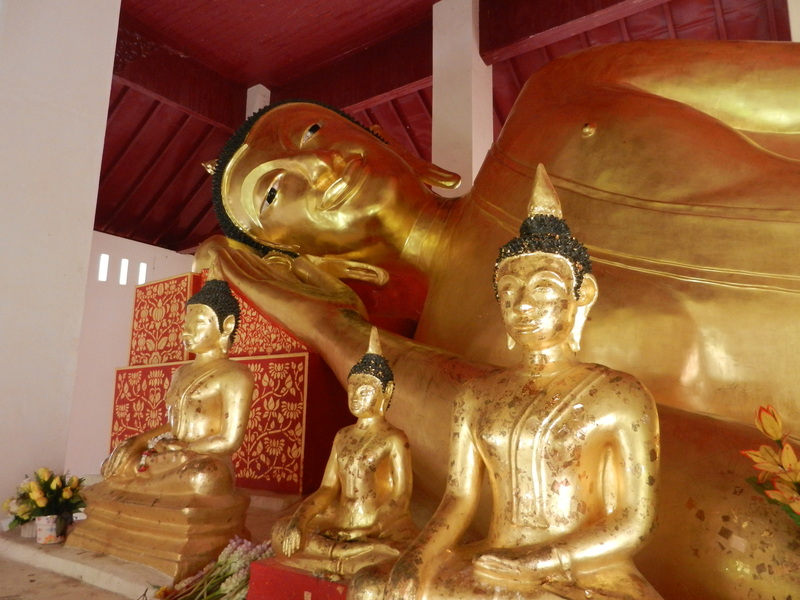 Sleeping Buddhas are some of the most popular statues in Thailand. 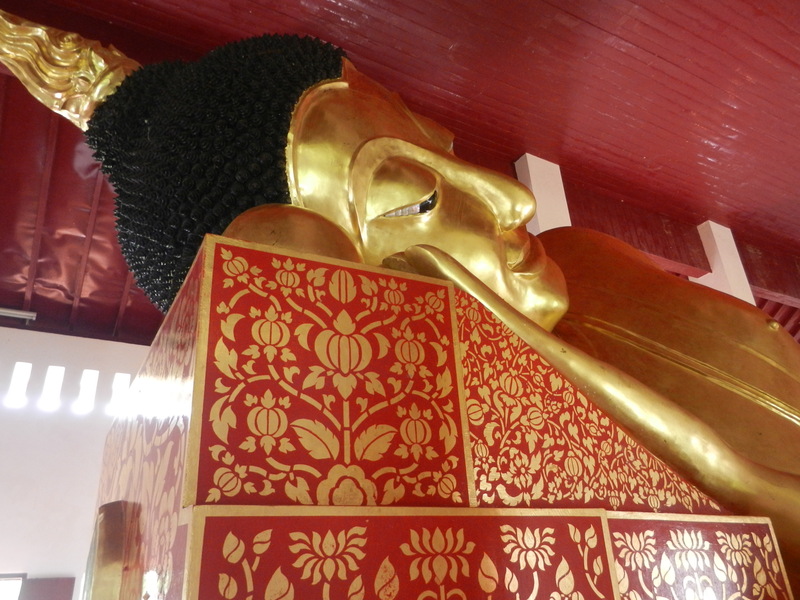 One of the most honored is in Bangkok’s Wat Pho. But I found them in wats all over the country. They often have their own hall. 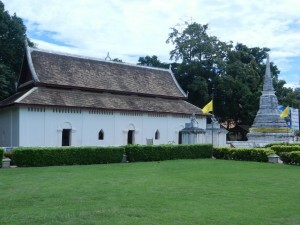 In Wat Phra That Chae Haeng, he rests in the handsome building in the above shot. He fills the whole room. His entire body curves like a river. There are no straight lines or flat surfaces. This statue has different traits than the ones Ancient Greek and Italian Renaissance artists developed. 1. Gentle flow. He seems to ripple like the rivers Southeast Asians have lived around and migrated on for thousands of years. 2. 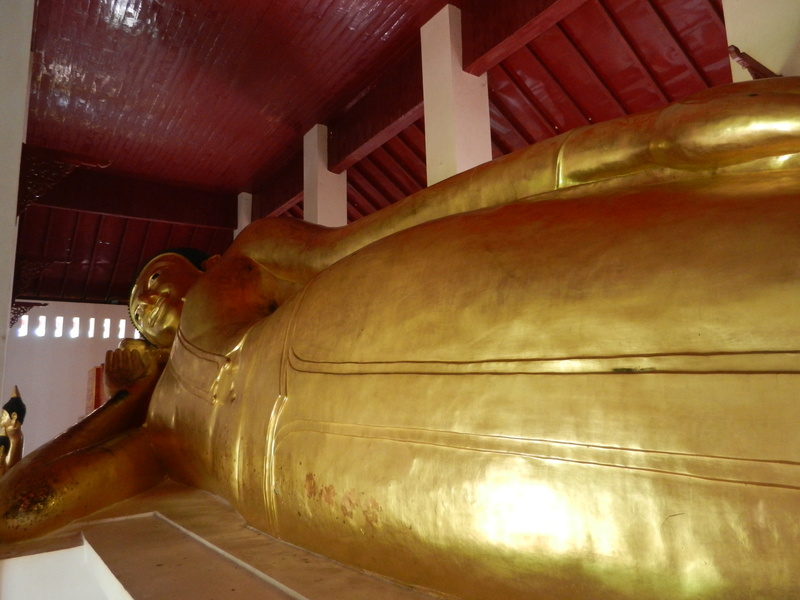 Glow–the gilt golds and bronzes make the statue seem to exude energy. The gently flowing curves render the waves benevolent. 3. Relaxed walking. The perspective flows as you amble around. The body seems to undulate. 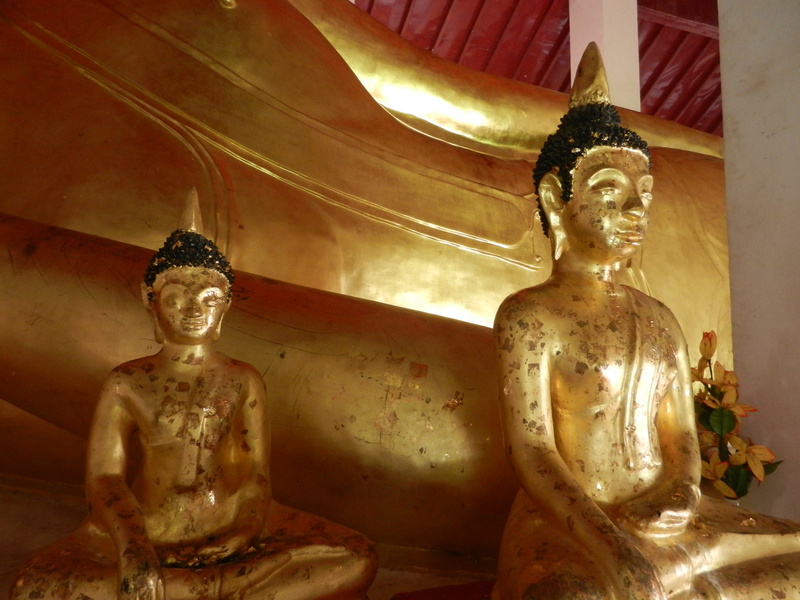 The mutual reflections between all the statues slowly shift–all bodies (including yours) seem to join in a field of graceful energy. Thais employ these basic elements in many other statues, including the Sukhothai Buddha. They do it in other media too, like architecture and interior decoration. We’ll savor many more. The most basic aspects of art and perception seem most basic because people encounter them throughout their environment. They’re rooted in the culture and natural landscape from ancient times, and they keep getting reinforced. What seems basic has infinite dimensions. So I find Western and Thai culture equally beautiful. Please comment if you have any favorite art forms.